Bruce Canepa’s 763hp 959 proves that 30-year-old Porsche engineering still has the mechanical muscle to keep up with its modern counterparts. Built using Le Mans-proven technology, developed on the worldʼs toughest rally stages and designed to showcase Zuffenhausenʼs engineering prowess, the 959 is rightly considered one of the most desirable 911s on the planet. A car which captured the imagination of the 292 lucky owners of the roadgoing version, and a modern classic which now rarely changes hands 30 years later. This was one of the worldʼs first true hypercars for the road. Its electronically-controlled four-wheel drive, height adjusting suspension and state-of-the-art sequential turbocharging system offered blistering pace. It could reach 62mph in less than four seconds, could grip almost any surface and reach a top speed of up to 317kph for the most performance-focused ʻSʼ version. Attributes which might make you wonder what this engineering masterpiece could achieve using todayʼs technology. 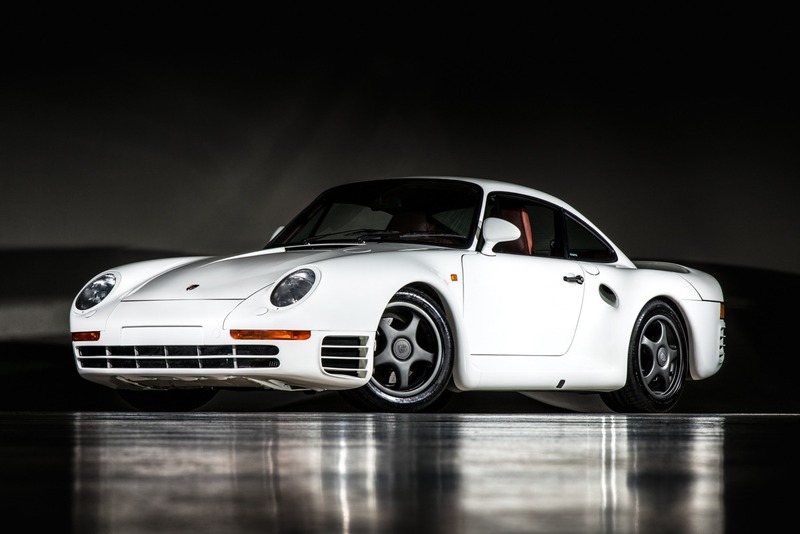 With so few cars built, the 959ʼs stratospheric value and collector status means modified versions are incredibly rare. 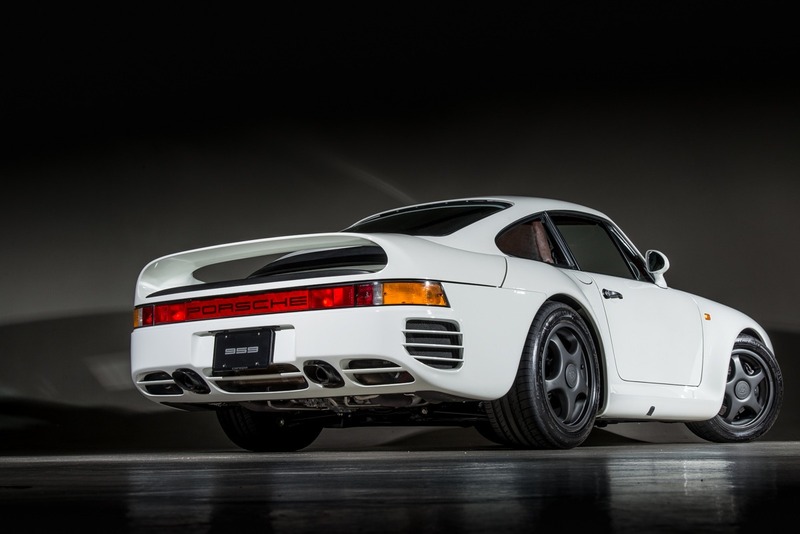 But this particular car – the third generation of upgraded 959 developed by world-famous collector and enthusiast Bruce Canepa and his team in California – offers a rare glimpse of how far the factory-built versions were from the limits of their mechanical parts. 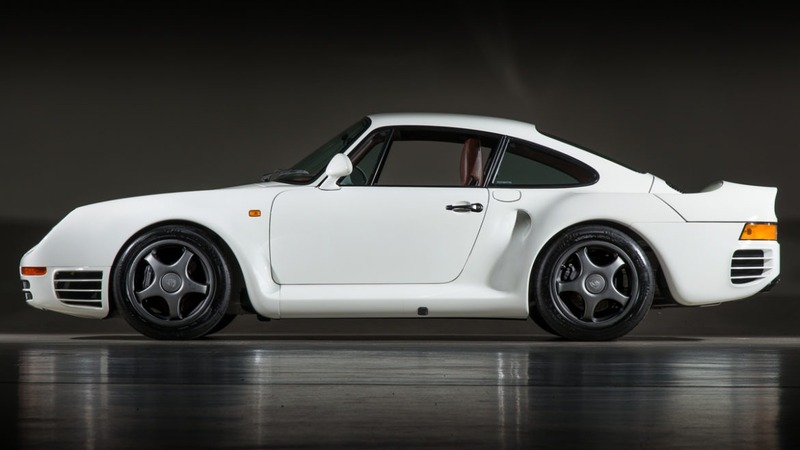 Modifying the 959 hadnʼt been a choice – for Canepa, it had been a necessary move. Porsche had never developed its engineering flagship for the United States market, and had never officially imported it either. So the 959 not only couldnʼt meet the Environmental Protection Agencyʼs stricter emissions limits, but it was also never offered for crash testing. For American buyers who were lucky enough to be among the 292 first customers, the worldʼs fastest performance car was nothing more than a display piece. 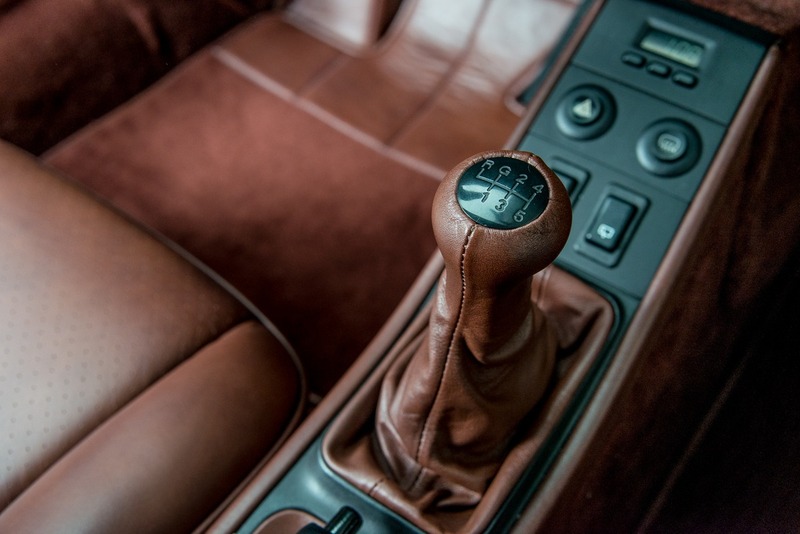 This changed when, in 1999, the National Highway Traffic Safety Administration offered an exemption for historically or technologically significant vehicles. The ʻShow and Displayʼ rule meant eligible cars – including the 959 – could be brought into the United States under strict mileage limits if they could meet period-correct emissions limits. The result of years of campaigning by enthusiasts, including Canepa, the ruling opened the doors for a huge selection of cars which had never before been available in the USA. But, by the turn of the Millennium, what had once been Porscheʼs most advanced car was starting to lag behind its modern counterparts. Porsche had a four wheel drive 996 Turbo by that point, producing almost as much power as the 959, and the Carrera GT prototype was only months away from its Paris motor show debut. Canepa may have been relieved to finally unleash his car on US soil, but reprogramming the ECU for the catalytic converter required to pass the EPAʼs requirements had shown that there was potential to continue what Porsche had started 15 years previously. Motorsport-derived engineering is a good starting point. 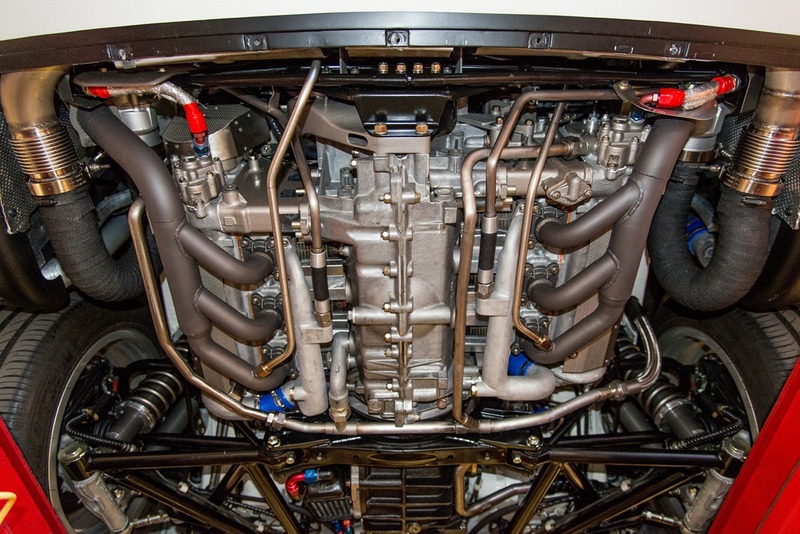 The 959ʼs 2.85-litre engine had been developed from the water-cooled flat-six used in the 935/78 Le Mans car, the ultra-aerodynamic ʻMoby Dickʼ prototype racer, which had been built to set records at Le Mans. 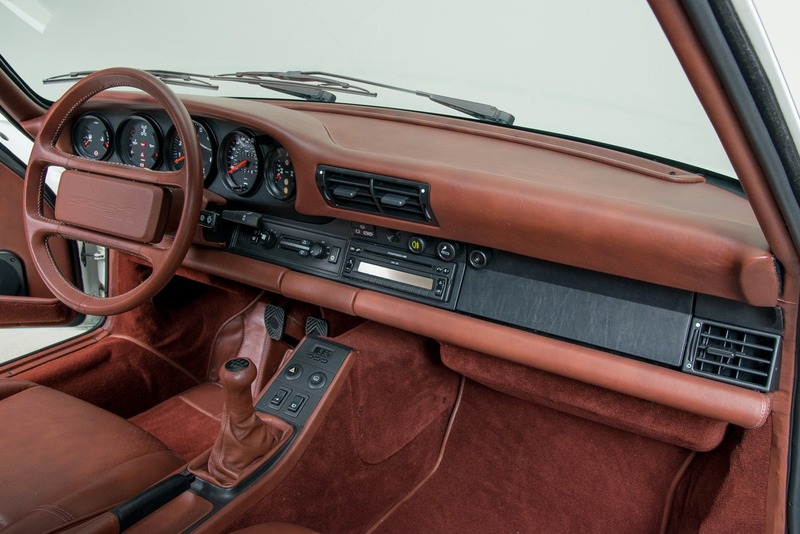 But, where the older turbocharged 935s had suffered vicious, flame-spitting lag, the 959ʼs sequential turbo setup had been designed to deliver its 450bhp output far more progressively. That endurance-bred background and the ferocious performance of scores of racing 935s suggested that the engine could handle considerably more power, and Canepaʼs gen I package delivered. Launched in 2001, it produced 576hp, a figure which was in excess of Porscheʼs own Carrera GT prototype shown a year previously, and it could pass the EPAʼs emissions tests. This was quickly followed by the gen II, its 640bhp again beating any factory-built cars at the time. And Canepa wasnʼt finished. To the untrained eye, itʼs almost impossible to spot the differences between this, the 2016 gen III car, and a standard 959. Yet, beneath its curves of Kevlar and pressed aluminium, this is absolutely the modern re-imagining of what Porscheʼs masterpiece could have evolved into. Under the decklid, the flat-six engine still displaces 2.85- litres, but thereʼs almost no trace of 1980s technology found bolted to it. The flat-six is fully rebuilt using blueprinted parts for perfect balance, while the cam timing is optimised for additional boost. State-of-the-art engine management, paired with a wiring harness built to Formula 1 standards, controls an upgraded fuel system and high-output ignition, and the alternator and battery have been replaced with motorsport grade items, too. Itʼs an investment in reliability for the additional power itʼs now tasked with putting out. 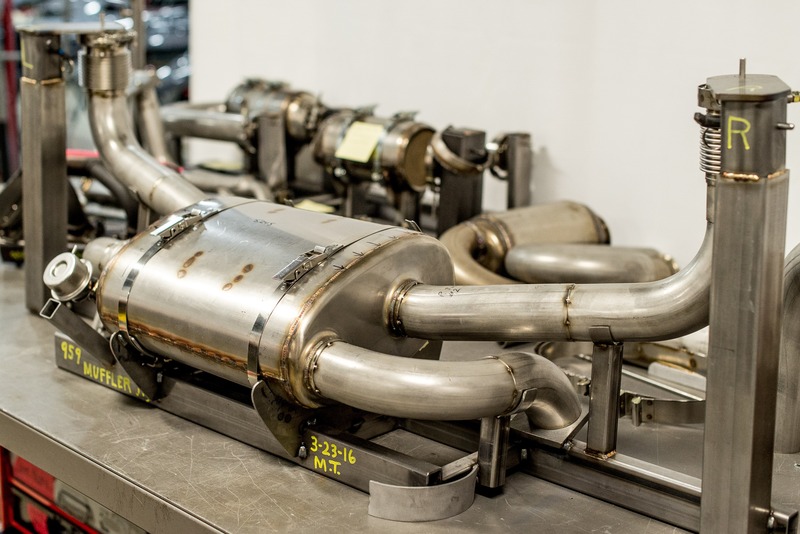 Canepaʼs team have deleted the sequential turbo setup, the gen III using a pair of identical Borg-Warner units instead, each supplied with air by a large, bespoke-built Green filter and connected to a custom-made stainless-steel exhaust system. With the dashboard controlled bypass opened, thatʼs enough to produce 763bhp and 860Nm torque – serious power for a car which, by modern standards, is incredibly light. Yet itʼs done little to upset the coupeʼs ability to launch, or to tackle the winding roads that it was engineered for. Porsche had developed the 959ʼs driveline from the four wheel drive system in the Type 953, used by the Rothmans team to win the 1984 Paris-Dakar, but had moved to computer control by that point. It means the Gen III is always capable of deploying that explosive power whichever part of the road has most grip. 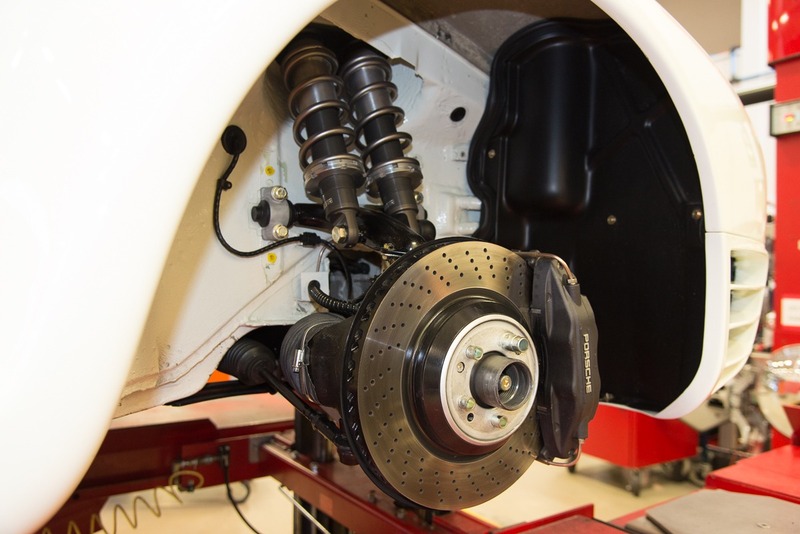 While the extra power required an uprated clutch, the driveline has proved itʼs more than capable of handling the strain of prototype-level performance. Some of the complexity has been lost from the chassis. 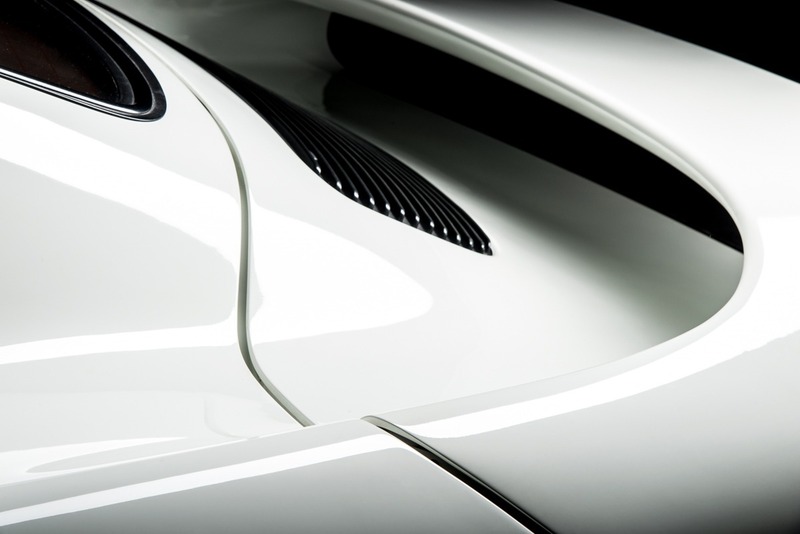 The 959 had originally used height-adjustable suspension, which lowered the body at high speeds for additional aerodynamics. 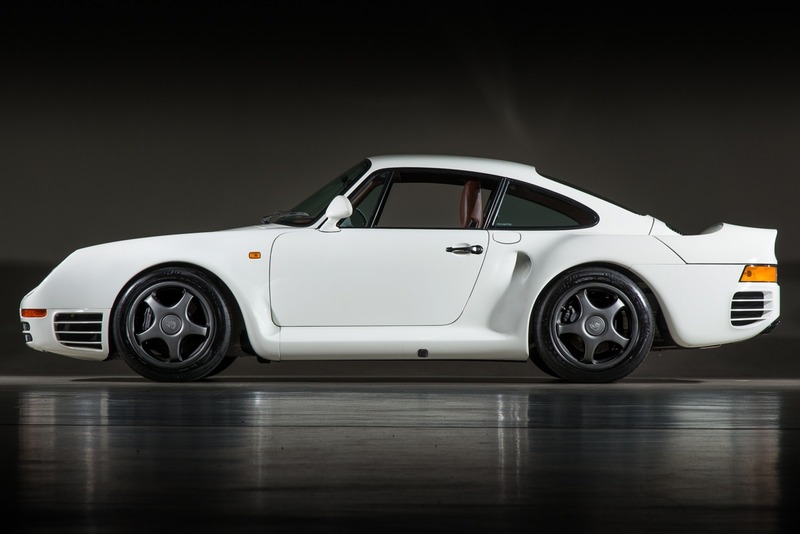 Canepa and the team opted to move to the same setup as the 959S and 961 racing car, namely a fixed height coil-over package with lightweight titanium springs. Owners also get a much wider choice of tyres. 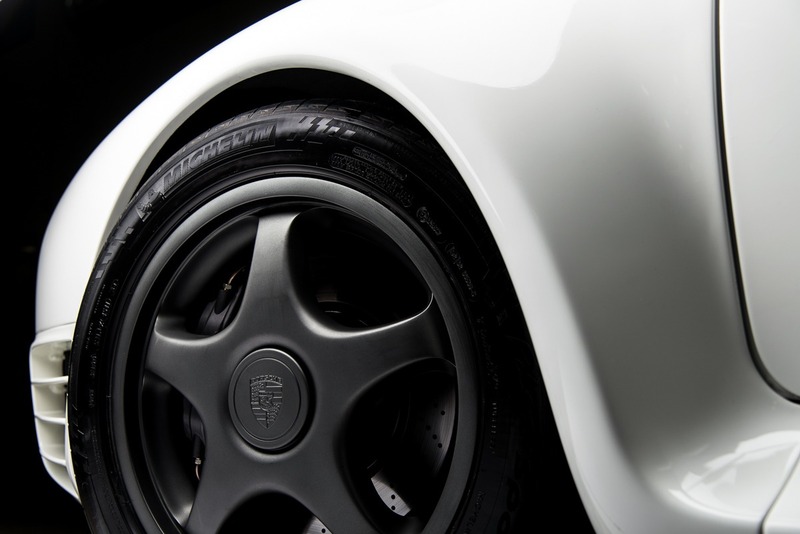 Porsche had partnered with Dunlop to develop the wheels and tyres for the 959, and the unique ʻDenlocʼ bead design was used to hold some of the worldʼs first run-flat tyres to the hollow spoked magnesium-alloy rims. While itʼs an invisible modification without removing the tyre, the gen IIIʼs Z-rated Michelin Pilot Sport 3s required re-engineering of all four wheels to seat them properly, but with the advantage that future generations of high-performance rubber will always work with the car. This is, however, a sympathetic update of Porscheʼs original design. That unmistakable silhouette is untouched, preserved and almost identical to the 1983 Grüppe ß concept car that previewed the production version. 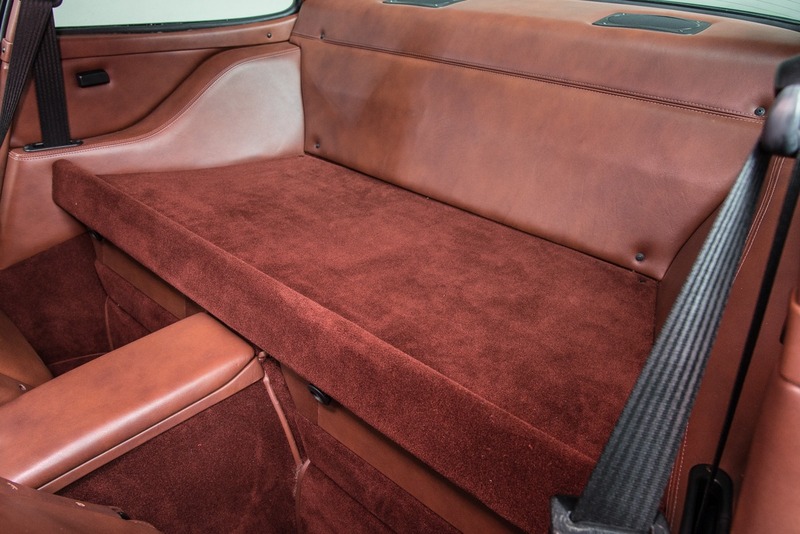 Canepaʼs upgrades extend to a luxurious interior makeover, with handcut carpets, mottled brown leather trim and a modern CD player mixing with the classic VDO gauges and four-spoke steering wheel. Again, a hint of what Porsche would have provided in a 2016-spec 959. 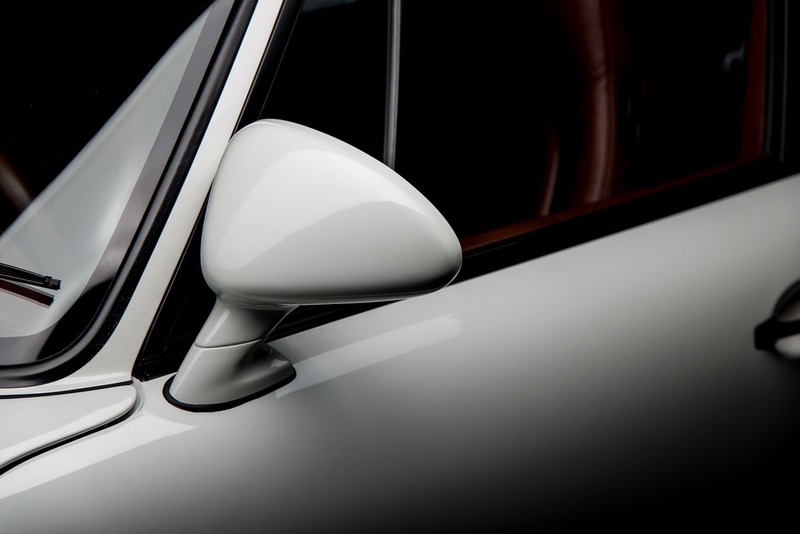 Ironically, in the years since Canepa helped ensure that American drivers could import the 959, even the latest versions are older than 25 years and no longer require the exemption which brought the first cars across the Atlantic.